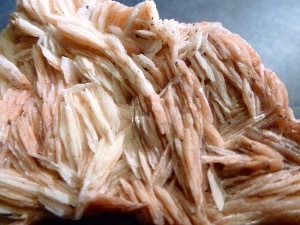 Barite is a barium sulfate crystal with an orthorhombic crystal system. Most often it is colourless, white, light blue or green. Less frequently, it can be yellowish or reddish brown. It forms in a variety of patterns, is frequently tabular, but can also occur in rosettes, crested or granular shapes. 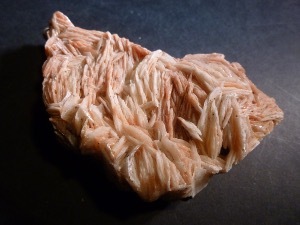 One of the most common occurrences of Barite is a rosette formation known as the ‘desert rose’. 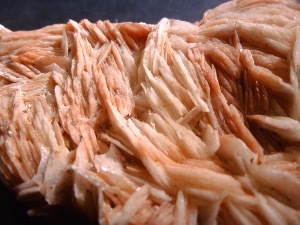 Barite is found most abundantly in England, Romania and the USA. 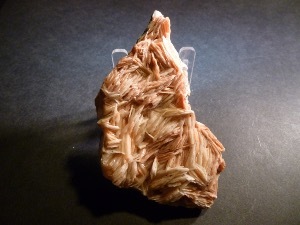 Barite is said to assist one in releasing attachment to the forms or structures of one’s life that are based in fear. It’s is to generate a sense of excitement about manifesting one’s spiritual purpose, combined with a willingness to do what it takes to accomplish that goal. It’s also said to assist one in recognising where one must let go and allow change in order for evolution to occur. 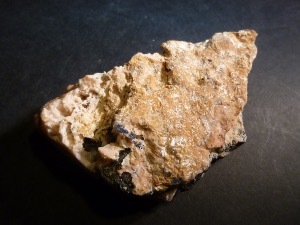 Barite is to physically be an excellent stone for balancing brain chemistry and enhancing the mechanical function of the brain cells and synapses. It’s said to helpful in situations of degenerative brain disease. Cerussite is a lead carbonate mineral. It’s crystal system is orthorhombic, and it typically appears in association with minerals such as Sphalerite, Galena, Pyromorphite, Anglesite and Smithsonite. It often forms crystals, which are colourless, gray or brown, and it has an adamantine luster. Good quality Cerussite crystals have been found in Czech Republic, Sardinia, Austria, Scotland, Namibia and the USA. Cerussite is said to be an inspiring, facilitating hope and a willingness to overcome feelings of being overwhelmed and it assists in organising one’s thought, one’s space and oneself. Creussite is said to increases brain activity and processing, allowing one to think more clearly and with greater concentration. It’s said to help those with ADD/AHDA, or hyper-activty in general. It’s is an excellent aid for weight reduction, especially where the weight has been created for the purpose of protection or grounding. It’s said to be used to help support those who experience anxiety attacks,social anxiety or agoraphobia.